California-based global supplier SKYTEX announced Friday its plans to team up with tablet developer EXOPC to offer improved touchscreen interfaces for the Skytab S-series Windows 7 tablet. “The EXOPC team is proud to launch a customized touch-friendly UI on the Skytab S-series dual-core tablet,” said Shan Ahdoot, CEO of EXOPC. So, what exactly makes the EXOPC interface so special? According to an EXOPC tablet review at Liliputing, the interface is a tablet-optimized UI built on top of the comparatively touch-unfriendly Windows 7 UI. The new overlain interface should support multi-touch and offer improved responsiveness with its own web browser and apps. As for the specs of the Skytab S-series, the 9.7-inch tablet will run on a dual-core 1.5GHz Atom N550 processor, 2GB RAM and include a 1024x768 resolution screen with 320GB HDD, HDMI-out, 2x USB 2.0, microSD reader, 1.3MP front-facing webcam and optional 3G. This particular tablet will be the first 9.7-inch device to use the EXOPC interface, says Liliputing. 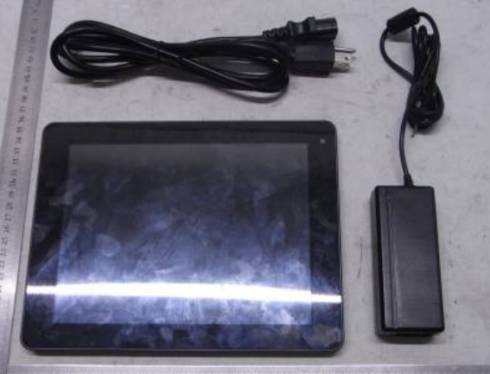 The SKYTEX tablet could be shipping as early as this October and has already landed at the FCC for approval. 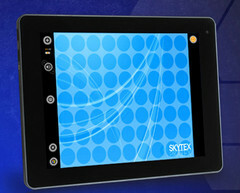 SKYTEX partners with EXOPC to bring their touch-friendly EXO UI to SKYTEX's flagship Tablet PC. 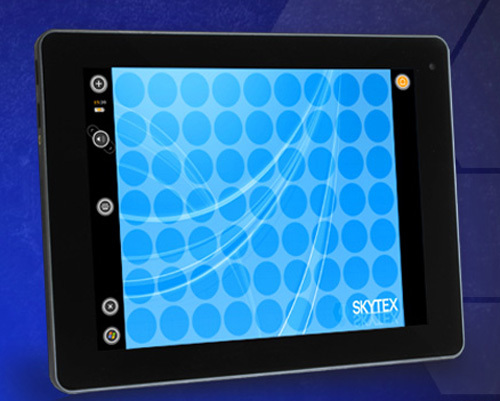 DIAMOND BAR, Calif., Sept. 23, 2011 -- /PRNewswire/ -- SKYTEX Technology, Inc. today announced their partnership with EXOPC in bringing a customized version of their touch-centric user interface to the SKYTAB S-series Windows® 7 tablet PC. Powered by a dual-core Intel® Atom™ N550 processor, the Skytab S-series tablet PC represents the ultimate in mobile computing. It combines the portability of a slate with the flexibility and familiarity of Windows®, offering true productivity and virtually unlimited entertainment possibilities. The EXO UI delivers an additional layer of touch-friendly features and apps to the Windows® 7 ecosystem. The Skytab's sleek and functional design encompasses a vibrant and crisp 9.7" capacitive multi-touch display with up to 4-points of touch recognition. Its 4:3 aspect ratio is ideal for reviewing and editing documents, browsing the web and reading digital textbooks or eBooks. The dual-core Intel® Atom™ CPU combined with Intel's integrated graphics and 2GB of DDR3 RAM ensures smooth playback of media and painless document editing. "The EXOPC team is proud to launch a customized touch-friendly UI on the Skytab S-series dual-core tablet. Optimized in terms of responsiveness for the Windows tablet, featuring state of the art ergonomics and design, this special edition of the EXO UI brings a unique user-centric feel, look and experience," said Shan Ahdoot, CEO of EXOPC. "We're pleased to see our OEM partners' continued commitment to delivering state-of-the-art mobile computing products to the enterprise and consumer markets," said Eddie O'Brien, VP of US OEM sales, Microsoft Corporation. "The new Skytab S-series tablet by SKYTEX provides a great combination of the adaptability and robust features of Windows 7 with an innovative multi-touch tablet experience." The Skytab S-series effortlessly multitasks and plays nicely within corporate IT infrastructures. Its HDMI out allows you to easily connect to a projector, television or external monitor for presentations, and its integrated 1.3MP web cam and mic are ideal for video conferencing or keeping in touch with loved ones while away. When it's time to unwind, users can enjoy browsing, streaming, and gaming through a blazing fast wireless 802.11b/g/n connection. The Skytab S-series tablet with Windows® 7 Home Premium and EXO UI is available for pre-order now. Shipments will begin in early October.